You are here: Home / American Midwest / Swedish Archipelago, American Midwest or Americas Cup? Sailors looking for new and exciting cruising grounds will be enchanted with the Swedish Archipelago of 33,000 islands aboard the luxury Swan 651, ICHIBAN. 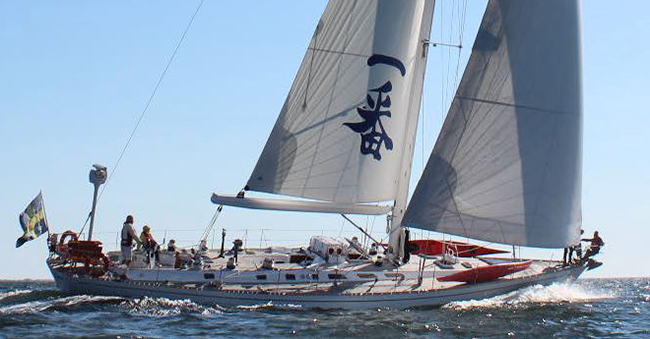 ICHIBAN charters for 18,500 Euro/week plus 6% VAT for up to 8 guests. Additional expense for food and beverages is 120 Euro/day/person plus 12% VAT. Alcoholic beverages are additional and will be billed at the end of the charter. Charter season is May through October. Cruising the American Midwest from the Gulf of Mexico to the Great Lakes and beyond via the Tombigbee waterway to parts of the Tennessee, Cumberland, Ohio and Mississippi Rivers is an adventure not to be missed. 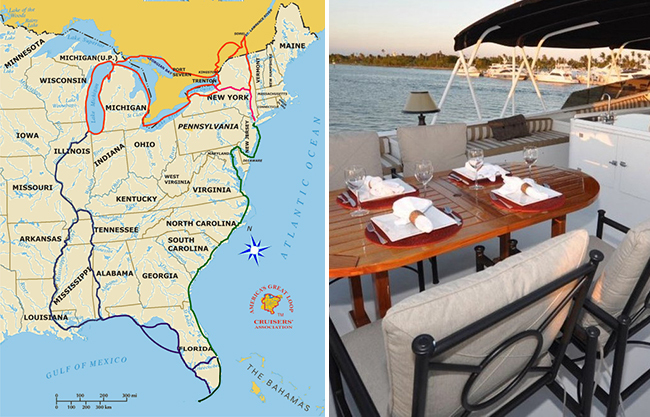 Voyages can extend to the USA east coast via the St. Lawrence Sea way, Erie Canal and Hudson River. 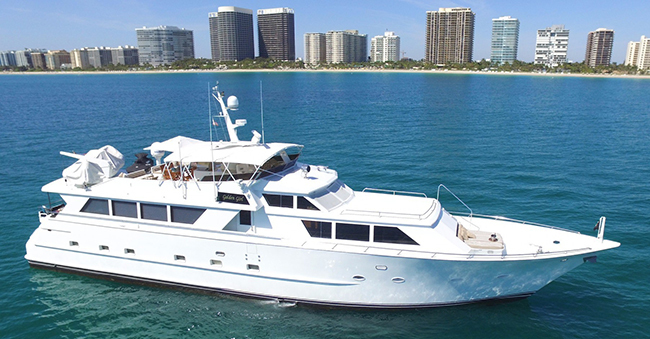 Join the 94′ GOLDEN GIRL and her 3 crew for a leg or more as she transverses these waterways beginning on or about the end of April continuing into summer. Captain Jim Judy, a native Kentuckian has extensive knowledge of this route and can even be in Louisville in time for the Kentucky Derby! Please call us for more information on availability. $750 per day weekday race days, $1,250 per day for weekend race days. $2,000 per day (whether week day or weekend). Contact us for more details about AC CLUB tickets. 3. Dark & Stormy Bar: This is the beer tent operated by Gosling’s situated in the America’s Cup Village (on the infill) and open to the public, but tickets need to be purchased separately. Click here for more details. Tickets may be purchased here.